There are very few people in the world today who do not know what the Christmas holiday is all about. 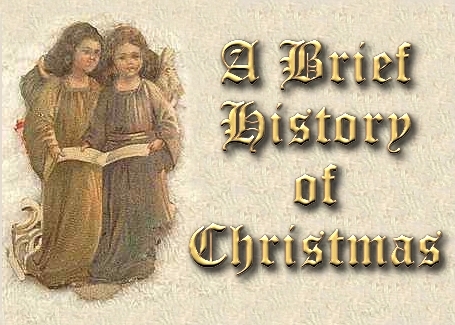 Christmas, as we know it today, is the celebration of the birth of Jesus Christ, which happened over 2000 years ago. The word “Christmas” translates to “Mass Of Christ”. However, we can all be sure that the celebration of the Christmas holiday did not start right away. So how did the actual celebration of the Christmas holiday begin? The ancient Romans held a celebration each year in honor of their god Saturn. The festival, which they called Saturnalia, began in the middle of December and lasted until the first of January. The Romans decorated their homes with garlands, as well as trees upon which they hung candles. During the festival the citizens of Rome would visit each other’s homes and hold great feasts. One of the theories of how the tradition of the giving of Christmas gifts came about was from the Roman practice of exchanging gifts between family and neighbors during the festival of Saturnalia to promote good luck. During the winter in ancient Scandinavia there would be a certain amount of days where the sun would not shine. Upon the return of the first sunlight, the Scandinavians would hold a festival called the Yuletide. A Yule log would be burned in a special fire, and everyone would gather around the fire and hold a great feast. To remind themselves that the spring and summer would surely return again, people in some areas of Scandinavia would tie apples to tree branches. The tradition of the Christmas tree is believed to have evolved from this ritual, as well as from the Roman ritual of decorating trees with candles during the festival of Saturnalia. Some believe that the tradition of singing carols began when people in Scandinavia would sing celebration songs on the Winter Solstice, the shortest day of the year, which happened around December 22nd. One theory about the evolution of the winter celebrations to the celebration of the birth of Jesus is that the Roman emperor Constantine, who converted to Christianity, wanted to incorporate the pagan winter rituals together with the celebration of Jesus’ birth. In this way, Constantine hoped to help both pagans and Christians celebrate together. Many believe that this is the reason for celebrating the birth of Christ on December 25th. It is widely believed today that Jesus was not actually born on, or even close to, December 25th. Eventually, the Roman church became almost completely successful in making the December celebration only about the birth of Christ, replacing any celebrations that were in honor of pagan gods. Though the celebration of Christmas is basically based on the same belief today, it is not celebrated in exactly the same way in every country. In Great Britain, one tradition they observe during the Christmas season is “Boxing Day”. On Boxing Day, the boxes containing alms for the poor are opened at every church and the alms are distributed to the poor. An alternate theory to the origin of carols is that they originated in Great Britain and not Scandinavia. Whether or not this is true, many of the Christmas songs that we sing and Christmas music that we hear today were written in 19th century England. Christians in China celebrate Christmas by decorating their homes and trees with paper lanterns, paper flowers, and paper chains. Christians in Iran refrain from eating any animal products from December 1st until after Christmas church services on December 25th, after which they have a traditional feast of chicken stew. In Venezuela, Christians attend daily morning church services between December 16th and December 24th. In the capital city of Caracas, it is customary to roller skate to these services. People in Northern Brazil celebrate Christmas with a traditional play called “Los Pastores”, or “The Shepherds”. In the Brazilian version of this play, the shepherds are always women, and there is a scene where a gypsy attempts to kidnap the Christ child. It is believed that British painter John Callcott Horsley designed the first Christmas card in 1843. Horsley designed the card for his friend Sir Henry Cole, who was the first director of the Victoria and Albert museum. The card showed a family celebrating Christmas, and read “A Merry Christmas and a Happy New Year to You”. The tradition caught on quickly in England, and it was not long before the first Christmas cards began showing up in the United States and other countries as well. One cannot talk about the history of Christmas without mentioning Santa Claus. Bishop Nicholas of Smyrna, who lived in the 4th century A.D. in what is known today as Turkey, was a very wealthy and generous man, who especially loved children. He was known to throw gifts into the houses of poor children in order to brighten their spirits. He was later titled Saint Nicholas, and became the patron saint of children and seafarers. From his story evolved the legend of Santa Claus – the jolly man who brings gifts to children all over the world on Christmas Eve. In England he came to be known as Father Christmas, in China he is known as Dun Che Lao Ren, which means “Christmas Old Man”. 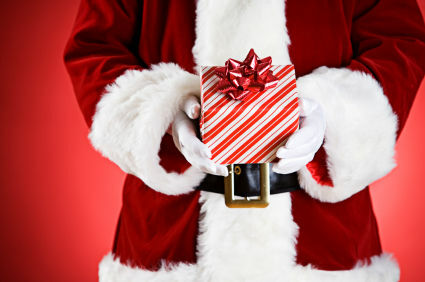 Many believe that the giving of gifts originates from the deeds of Bishop Nicholas, and not the Roman tradition of giving gifts during the festival of Saturnalia. More likely, the tradition evolved from both practices.